WAXI WRAPS. Bees wax food wraps. At 50, Mary Jane Gibbs found herself a single parent of four young adults. She was working two jobs, and one of those was about to be axed in a company restructure. Mary Jane wanted to focus on a project she could take charge of. “I came up with the idea when I was working my second job at the cafe, making wholefood cakes. I was using raw WA honey, which I collected myself from a local beekeeper. 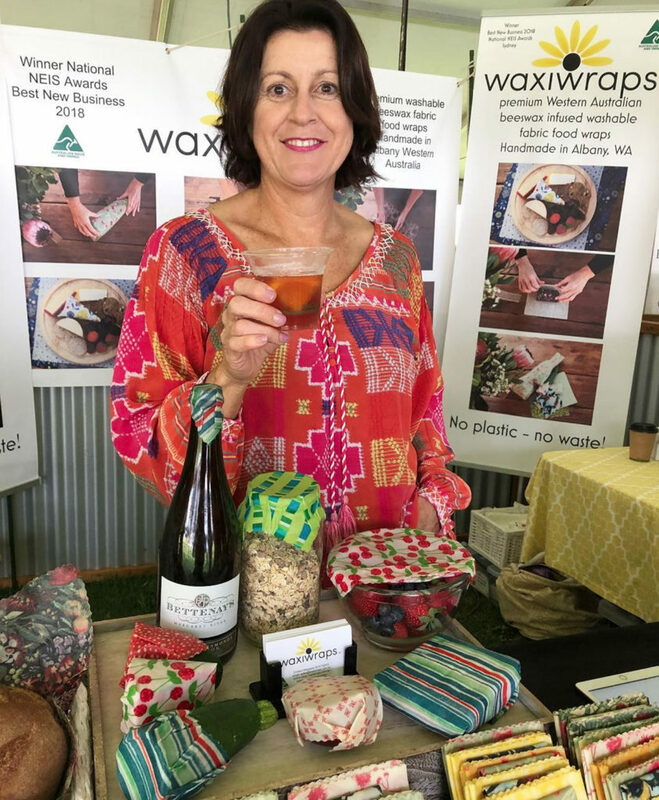 While I was there, I noticed heaps of beeswax in the shed, that’s when I had the idea for Waxiwraps,” she explains. The waste of single-use plastic for covering food was a concern for Mary Jane, just as it is for many of us in our daily lives. Such a simple but serious environmental issue was about to have an alternative. “I took some of the wax home and began experimenting in my kitchen, wrecking several pot and pans in the process of creating what would be my new product,” explains Mary Jane. 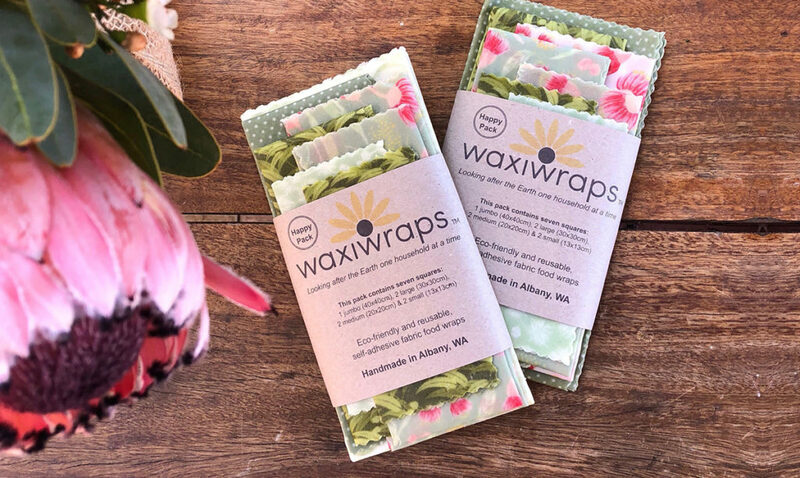 Waxiwraps™ began to take shape; using a combination of pure beeswax, jojoba oil grown in Queensland, and a natural, food-grade tree gum called damar resin. This blend was infused into 100% cotton, creating a wrap with just the right amount of flexibility and long-lasting ‘stick’. Waxiwraps can be used over and over for 12 to 24 months. They are cleaned by wiping with a damp cloth for general use, and when a proper wash is needed, a cold wash with a dash of dishwashing detergent. Check out this video for ideas and tips for using Waxiwraps. With her new prototype, Mary Jane went to her local small business centre for advice. “They told me about NEIS, and I jumped at the chance to do the program. I wanted to dive into this new business venture full-time. NEIS training, guidance and planning gave me the confidence that my product and business idea had merit,” says Mary Jane. In the first 12 months of the new business, Mary Jane drove 33,000km, getting the brand known at field days, agricultural shows and market days. At times she worked 70 hours a week. 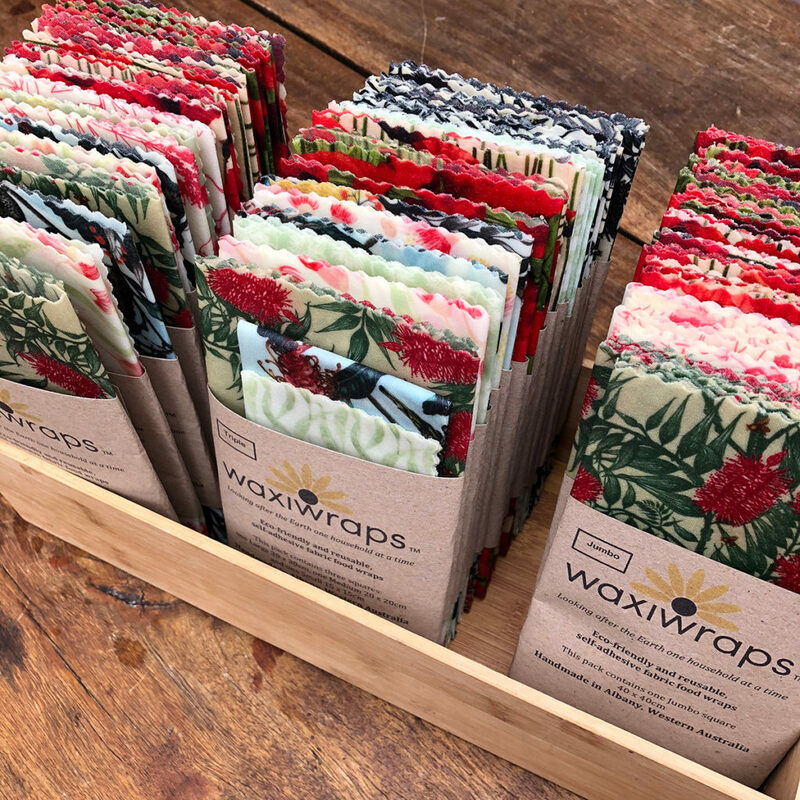 Waxiwraps now employs Georgia at market stalls and in the workshop; and Jethro irons the fabric, assembles packaging and sends out product ordered via the online store. There are also around 50 stockists in WA. “To date, we’ve made and sold around 30,000 Waxiwraps,” says Mary Jane. This success and hard work was recently recognised with the Best New Business Award 2018, from the National NEIS Association. Congratulations Mary Jane! Can you see a gap in the market for your great new business idea? Take the first step to self-employment with free NEIS training. Use the postcode search tool to locate your nearest NEIS provider for a chat.